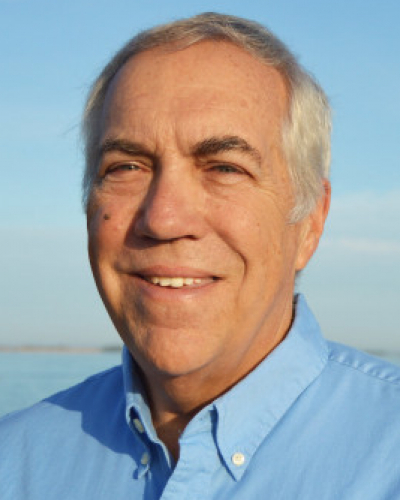 Edward Buskey received a Ph.D. in Biological Oceanography from the graduate School of Oceanography of the University of Rhode Island in 1983. He came to The University of Texas Marine Science Institute in 1986 as a Research Scientist, and has been promoted to Professor in 1999. His research interests in marine science have focused on studies of the behavioral ecology of marine zooplankton, and how sensory perception mediates behavioral adaptations for locating food resources, avoiding predators and finding mates. Much of this research makes use of video microcinematography and automated video-computer methods for image and motion analysis. He is currently involved in studies of the adaptive value of swarming and schooling behavior to zooplankton on the barrier reef systems of Central America and Australia. He is also carrying research on the roles of planktonic grazers in harmful algal bloom dynamics; several ongoing studies suggest that a breakdown in grazer controls and changes in the planktonic food web have contributed to the unprecedented persistence of the 'brown tide' algal bloom in Laguna Madre.